Great Lakes Christian High School (GLCHS) is a grade 9-12 secondary school located in Beamsville, Ontario between Toronto and Niagara Falls. We are a ministry-inspected residential and day school with over 65 years of service. GLCHS is a welcoming community where lifetime friendships are formed. It is an ideal environment for you to grow and feel safe — dedicated teachers challenge you academically, caring dorm parents make you feel at home, and our small student body allows for plenty of opportunities to get involved. GLCHS delivers education in an intentional Christian environment from a Biblical worldview. 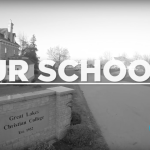 Great Lakes Christian High School fosters excellence in education while equipping learners to seek, serve, and become like Christ. 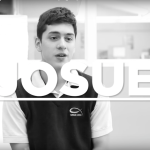 The person and principles of Jesus Christ and the expectation that both are respected and reflected by all members of the Great Lakes community. The Bible as God’s inspired Word and instilling a lifelong commitment to its teachings. A comprehensive education that promotes creative, intellectual, physical, social, emotional, and spiritual development. The formation of conscientious citizens. Our relationship with members of Churches of Christ who support and govern our school. The geographic and Christian community in which we are located.